The top-rated PBS drama of all time approaches its climactic chapter as "Downton Abbey" enters its sixth season on "Masterpiece" this January, and to celebrate its remarkable run, we'll be holding special events during the month of December. Join us at the Fayetteville Public Library and Historic Arkansas Museum for free preview events featuring receptions, period costume contests, door prizes and screenings of the first hour of the final season of "Downton Abbey." Giving Tuesday - held on Dec. 1, 2015 - is a global day dedicated to harnessing the power of individuals to encourage philanthropy and celebrate generosity worldwide. Give the gift of public television to your community this year by financially supporting AETN Foundation. Your Giving Tuesday donations bring education, music, drama and laughter to Arkansas by supporting public television programming on AETN! Give today at aetnfoundation.org. "Doc Martin: Seven Grumpy Seasons"
Go behind the scenes of "Doc Martin: Season 7" on location in Port Isaac for a glimpse into the latest developments for everyone's favorite dismal general practitioner. The special features interviews with producers, cast members and director Ben Gregor in an enjoyable sneak peek of what Martin Clunes is calling the "best" season yet. 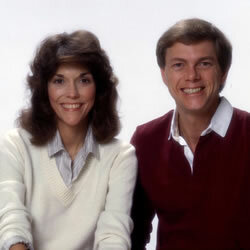 Thursday, Dec. 3, at 8 p.m. A sneak peak of "Doc Martin - Season 7: Episode 1" will follow immediately at 9:30 p.m.
"The Carpenters: Close to You"
Enjoy the unforgettable hits by sibling duo Richard and Karen Carpenter whose passionate music propelled them to worldwide fame. "Close to You" presents the fascinating history of the top American music act of the 1970s, featuring rare performances and remembrances from Richard Carpenter as he joins legends - including Herb Alpert and Burt Bacharach - to remember his late sister and pay tribute to her musical talent. Saturday, Dec. 5, at 8 p.m. and Sunday, Dec. 6, at 3 p.m.
Join Phyllis Speer and John Philpot for mouth watering recipes and endearing banter from the original "Arkansas Outdoors" series in this refreshed, cooking-only series. Featured December recipes include Fried Turkey Strips With Gravy, Grilled Veggie Kabobs, Garlic Mashed Potatoes and Buttermilk Ice Cream. Tuesday, Dec. 8, at 6:30 p.m. The world-renowned performer explores classic songs from the Broadway songbook, including "All I Ask of You," "Bring Him Home," "Anthem," "Pure Imagination" and "Try to Remember." 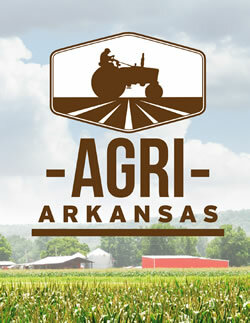 Monday, Dec. 7, at 9 p.m. and Sunday, Dec. 13, at 4:30 p.m.
What is the driving force behind the Ozarks' agriculture? How does the mountainous landscape affect its agriculture practices? In this month's episode, "Agri Arkansas" investigates as it continues the series' exploration of Arkansas's six physiographic regions. Also featured are a visit to the Meadowcreek sustainable agriculture community in Fox and how poultry producers are working to lessen the chance of an avian influenza outbreak during migration seasons. Sunday, Dec. 27, at 1 p.m.
"Rick Steves' Special: European Christmas" at 4:30 p.m.
"Wild Kratts: A Creature Christmas" at 6 a.m. and 4 p.m.
"Curious George: A Very Monkey Christmas" at 7:30 a.m. and 1 p.m.
"A Chef 's Life Holiday Special" at 8 p.m.
"AETN Presents: A Holiday Music Gala" at 6:30 p.m.
"The Cat in the Hat Knows a Lot About Christmas!" at 12:30 p.m.
"Rick Steves' Special: European Christmas," 4:30 p.m.
"Christmas With the Mormon Tabernacle Choir Featuring Santino Fontana," at 8 p.m.
"Christmas at Belmont" at 9 p.m.
"Christmas on the Danube" at 10:30 p.m.
"Curious George: A Very Monkey Christmas" at 7 a.m. and 1:30 p.m.
"Peg + Cat + Holidays" at 9:30 a.m. and 11:30 a.m.
"The Cat in the Hat Knows a Lot About Christmas" at 12:30 p.m.
"St. Thomas Christmas: Jubilant Light 2015" at 7 p.m.
"Christmas With the Mormon Tabernacle Choir Featuring Santino Fontana" at 8 p.m.
"Wild Kratts: A Very Creature Christmas" at 6 a.m. and 4 p.m.
"Curious George: A Very Monkey Christmas" at 7 a.m.
"Christmas on the Trail" at 8 a.m.
"Around the World: The Crane Candlelight Concert 2013" at 9 a.m.
"Holiday Handbells: The Raleigh Ringers" at 10 a.m.
"Southern Celtic Christmas" at 11 a.m.
"Shaun Johnson Big Band Experience: The Spirit of the Season" at 1 p.m.
"A Christmas Carol: The Concert" at 2 p.m.
"AETN Presents: A Holiday Music Gala" at 3:30 p.m. and 6:30 p.m.
"Call the Midwife Holiday Special" at 8 p.m.
"Vicious Holiday Special," 9:30 p.m.
"Call the Midwife Holiday Special" at 10 p.m.
"AETN Presents: A Holiday Music Gala" at 11:30 p.m.
"American St. Nick" at 9 p.m.
"Live From Lincoln Center - New York Philharmonic New Year's Eve: La Vie Paris" at 7 p.m. and 10 p.m.
"Michael Feinstein New Year's Eve at the Rainbow Room"
Dec. 4: "Recipes From Arkansas Outdoors: Dutch Oven Cooking," 6:30 p.m.; "Classical Rewind 2," 8 p.m.; and "John Denver: Country Boy," 9:30 p.m.
Dec. 11: "AETN Presents: A Holiday Music Gala," 6:30 p.m.; "Lidia Celebrates America: Home for the Holidays," 8 p.m.; and "Craft in America: Celebration," 9 p.m.
Dec. 18: "AETN Presents: On the Front Row With Keith Harkin," 6:30 p.m.; "Live From Lincoln Center - Sinatra: Voice for a Century," 8 p.m.; and "Salute to Downton Abbey," 9:30 p.m.
Dec. 25: "AETN Presents: A Holiday Music Gala," 6:30 p.m.; "Call the Midwife Holiday Special," 8 p.m.; and "Vicious: Holiday Special," 9:30 p.m.
Dec. 6: "Downton Abbey - Season 5: Episode 3," 8 p.m.
Dec. 13: "Downton Abbey - Season 5: Episode 4," 8 p.m.
Dec. 20: "Great Houses With Julian Fellowes: Burghley House," 6 p.m.
"Downton Abbey - Season 5: Episode 5," 7 p.m.
"Downton Abbey - Season 5: Episode 6," 8 p.m.
"Downton Abbey - Season 5: Episode 7," 9 p.m.
"Downton Abbey - Season 5: Episode 8," 10 p.m.
Dec. 27: "Manners of Downton Abbey: A Masterpiece Special," 7 p.m.
"Downton Abbey - Season 5: Episode 9," 8 p.m.